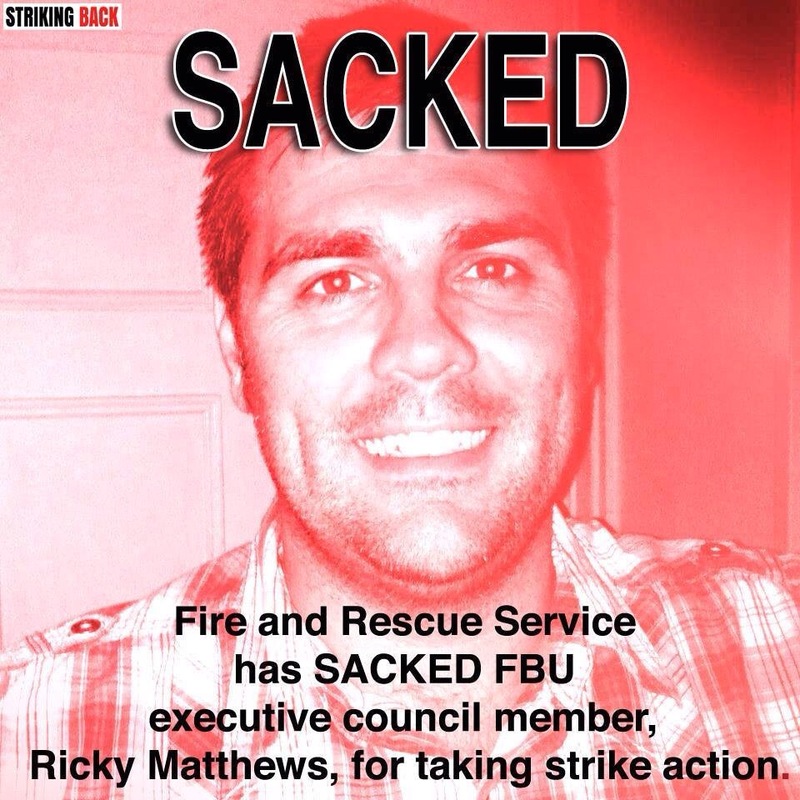 The hardline chief of Buckinghamshire Fire and Rescue Service has SACKED that area’s FBU executive council member, Ricky Matthews, for taking strike action. This represents a major attack on our union. The executive council will meet in emergency session tomorrow. A protest in Buckinghamshire will also take place tomorrow. We are calling on all London firefighters to join the protest. We cannot allow any brigade chief to get away with sacking senior officials of our union just for taking strike action. It is vital that we get members into Bucks tomorrow. It is a neighbouring brigade, and we need to show solidarity. Please SHARE this message to ALL your contacts. 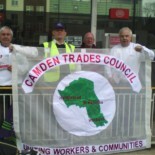 This entry was posted on November 2, 2014 by CAMDEN TRADES COUNCIL.